One of the finer nuances of the knuckle ball is the grip tension. In my time working with the greats, I have heard a few different things about grip tension. But the grip tension experts can really be broken up into two different camps — The Charlie Hough side and the Phil Niekro side. Charlie Hough enjoyed a 24-year Major League career. The man was drafted out of Honolulu as a third baseman and just couldn’t hack it. So, like most knuckleballers, he was taught the butterfly as a last-ditch effort. He caught on immediately. He started playing in double- and triple-A for the legendary Tommy Lasorda as a reliever; a closer, in fact. His success inspired the Dodgers to sign an aged Hoyt Wilhelm; making him a minor leaguer at 49 years young. Hoyt Wilhelm, in case you don’t know, is a hall of famer and the best knuckleballer that has ever lived. He maintained a WHIP below 1.00 AFTER the age of 40! Well, Hoyt taught everything he knew to Charlie. And at the end of the year, the Dodgers made a run for the pennant. They called up Hoyt, even though Charlie had better numbers. That’s how legend Hoyt was at the time. So, when Charlie taught me and RA Dickey, he preached what Hoyt preached — a loose grip, like an egg. Hoyt and Charlie held it so light that you could easily grab the ball out of their hands. 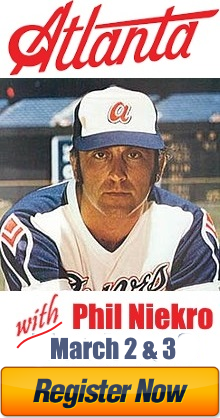 Phil Niekro, the second-best knuckleballer ever to live (just a shade behind Hoyt WIlhelm), featured a very tight grip. He wrapped his entire hand around the ball. And one thing thatI notices about Phil when I worked with him is that he has huge hands. The kind of hands that swallow another hand in a handshake. Well, he used those mitts to clamp down on the ball pretty tight. “Just hold it nice and tight, then fire it!” he would say. Knuckle ball grip tension is completely up to you. 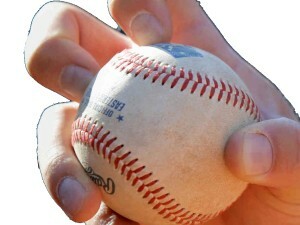 You just need to hold on to it just tight enough so that it doesn’t fly out of your hand on the way to the plate. I explain it in Knuckleball Nation the Instructional Video like this — think of it as a scale of one to 10, with one being the lightest. Throw a few at one and then get a shade tighter. Do this until you are gripping it hard, at a 10. Somewhere along the line, you’ll find your knuckleball grip tension. I get a lot of questions regarding how to throw a knuckleball. But it is not a simple question and the answer can take years to understand. Being a professional knuckleball pitcher myself, I know just how difficult the journey can be. There were times I was out on the baseball field practicing, throwing into my strike zone net that I would set up, where I would get incredibly frustrated; angry to the point of spiking my glove into the ground with a terribly sore arm. It was at those moments that I thought I would give up. Then, through the years, the lessons that Charlie Hough had taught me began to sink in. I finally understood what it meant to be on top of the ball. I finally understood hip-to-shoulder separation. I finally understood what it meant to follow through over the top of the baseball. Sometimes these realizations would happen in the middle of a game. I would think, “Oh, that’s what he meant!.” Something would click and my knuckleball would develop. It took years to finally craft a professional quality knuckle ball. And after those years I could finally call myself a knuckleball pitcher. It was years of struggle that had me looking bad out there on the mound every once in a while. I gave up a grand slam in the first inning of a professional game, got the hook and got my release on the same day! Of course, I found another pro job quickly that same summer, but that game won’t ever leave me. 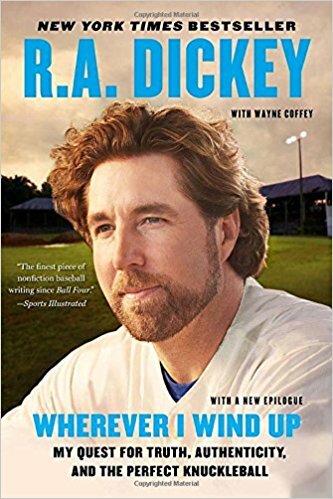 So, when someone asks me the question, “How do I throw a knuckleball?” I ask them, “Where do I begin?” Just read RA Dickey or Tim Wakefield’s books. Those guys will tell you just how difficult it was to learn a knuckleball. There is a lot of struggle and stife. But there is something great that comes from it all – self-discovery. RA Dickey is the king of self-discovery. He went through a lot of it when he was working to become a knuckleballer — $1,600/month non-guaranteed minor league contracts with a family, giving up six homeruns in a game to tie a Major League record, and age; he was rapidly getting older as the game was getting younger. He had to learn how to control himself and become a better man in order to achieve success with a knuckleball. I have experienced a lot of the same things. I am eight years younger than Dickey (two years away from his knuckleball MLB debut age) and I can say that the knuckleball has been a journey. It has taken me to Australia, Southeast Asia, Canada, Mexico and every state but Alaska. I make a minor leaguer’s pay check while friends succeed with stable careers. It’s hard to handle relationships with the stress of travel. But I wouldn’t trade it in for the world. When you commit to a passion, you learn a lot about yourself. Self-discovery is one of the best things about the pursuit of the knuckleball. It’s as much about the journey as the destination. So, when someone asks me that simple question, “How do I throw a knuckleball?” What do I do? Should I sit them down and tell them my life story? The absolute best thing you can do for yourself in discovering YOUR knuckleball is to find a mentor. I lucked out and found Charlie Hough. We’ve had a relationship through it all, and that’s what you’ll have with the knuckleball – a relationship. You don’t master it, you befriend it. And you relationship changes. Go make your story. Good Luck.